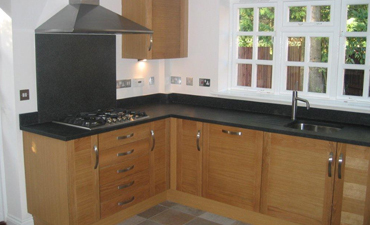 H H Hilder and Sons was established in Farnborough in the 1920’s and has done a considerable amount of work in the area since then, of all types including new builds and extensions and more recently loft conversions as they have become more popular. H H Hilder and Sons still has its office in Hilder Gardens in Farnborough. So are you slowly outgrowing your home? Do you need further bedrooms or would you like an extra room downstairs for use as an office or perhaps a playroom for the children. A well designed and built extension by H H Hilder and Sons will provide you with the extra living space that blends seamlessly into your house and directly increases its value. With H H Hilder and Sons Ltd you can be confident that your extension will be built by a qualified and highly skilled work force, which will carry out the work quickly and efficiently with the minimum disturbance and inconvenience so call H H Hilder and Sons today. Guildford area, please call 01252 372 671 today! You spend most of your morning and evening time within your home, either alone or with your family. During this time your surroundings have a profound influence on your physical self and psychological being. They could be furniture and fixture, interior architecture, the colour of the paint, and so on. At Builders Farnborough, we have specialised in the art of creating positive architectural vibrations. Construction material, style, shape, light, air, and ambience levels play an important role in shaping your personality. Physical health is the first aspect to be influenced by these elements. Psychological well being is second, but the most significant aspect. Material: Building materials like concrete, bricks, mortar and fillers can influence your skin and body health. At Builders Farnborough, we use CDM-2015 (Construction Design and management) standards and HSE (Health Safety and Environment) guidelines of the UK government. They are absolutely free from toxic chemicals and emissions. We use the UKAS quality specifications to test and certify our materials through sampling. Analysis of property changes during exposure to long-term environmental conditions let us determine the strength and durability. We make sure they are free from oxidation and emission prone reactions. Style: Our construction style considers space, forms, texture, and patterns for wholesome health. We ensure comfortable space for sitting, resting, and moving around within the space as the primary criterion. The next step is to provide sufficient space for furniture and fixture, carpeting, appliances, and decorative objects. The next step is to provide sufficient space for the geometric and organic forms within the interior. The purpose is to create perceptions of structural special effects on the minds of the inhabitants. We can also create solid shapes and forms from concrete, ceramic, and other construction materials. The purpose is to create a serene and open environment in which the mind can stay calm and composed. At Builders Farnborough, we have a tradition of carving unique organic forms from ordinary construction materials. They can create positive vibrations that spread all over the living space and provide energising effects to the residents. Shapes: At Builders Farnborough, we can design flat, curved, and abstract shapes on the walls, ceilings, and structural extensions within the rooms, lofts, and other living spaces. They are artistic in visual aspects. Painting them with healing and inspiring colours can create stimulating and vibrating effects. If you feel that shapes can be created only with external objects, it is time to take a look at our 3-D architectural gallery of shapes that can be made of construction materials. Creation of planes, lines, and projections can transform into geometric and natural shapes. Light: natural and artificial lighting is the exterior aspects which can influence the ambience, serenity, and aesthetics of a living space. They can also have an impact on your moods, emotions, and healing from physical and psychological stress. Source of light is only the basic element of ambience. It can get multiplied when the surrounding architectural elements are in perfect symphony with the light sources. Daylight Architecture: Being the best builders in Farnborough, we have clear ideas about the relation between daylight and architecture. We can shape the windows and ventilators to allow the ambient volume of light into the extensions and loft space that we create in your home. Hung windows, casement windows, transom windows, and slider windows have their unique design and application patterns. They can capture light in ambient volume and project into the interiors of living spaces. The angle of window and ventilator design can have a great impact on the volume of light entering the room. 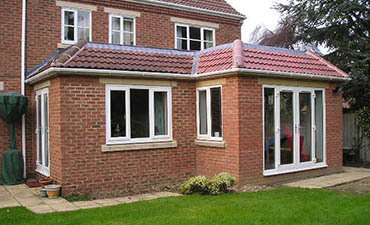 Protection from rain and wind can be achieved with sliding or opening frames and glass. Laminated, coated, and tinted glasses with toughening effects can be highly useful for balancing light ambience and protection from elements. Artificial Light: Our Builders Farnborough building technology has unique structural designs for maximising artificial lighting effects. Horizontal lines, curved shapes, vertical and angular planes, pillar, and arches are some of the structures which reflect light. Painting with the most ambient lighting effects is the best way of reflecting the maximum volume of light from artificial sources. Our Builders Farnborough architecture ensures the maximum lighting effects with the minimum energy expenses for the artificial light sources in your home. Air: Free circulation of air is made possible when the ventilation within the living space is adequate. It should also accommodate installation of heating and cooling devices within the rooms. Circulating air should be fresh without any elements of staleness and unhygienic particles. Our Builders Farnborough architecture of ventilation can ensure complete elimination of staleness from the living space. It the insulation effects can trap heat within the surroundings and keep the rooms warm. As the top builders in Farnham, we have developed some of the most energy-efficient house extensions and lofts for all types of architectural designs. Our structures are highly recommended for radiant heating, centralised cooling, and ventilation systems in the UK. House Extensions: Builders Farnborough house extensions incorporate the best practices of architectural vibrations as explained above. They not only reflect light and positive vibrations but also absorb all the negative energy waves emanating from your body. According to the interior architecture principles, the absorption of negative energy can naturally lead to freeing of skin and body from their impact. The vibrating positive energy fills your body and mind. 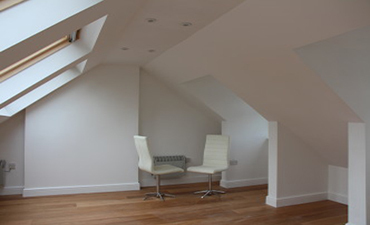 Loft Conversions: Our loft conversion projects aim at transforming narrow spaces into large and voluminous living spaces. We can break away the constraints on the attics, ceiling spaces and other space restrictions. We can retain the existing architectural pattern or create a new one for you. Our goal is to ensure maximum energising effects within the converted lofts. You can experience a significant transformation in your health and well being once you start living within the converted lofts. Refurbishments: At Builders Farnborough, we have a special division for transforming your vintage and antique home into a fully furnished and furbished flat or apartment. We can also help you restore your vintage home to its original architectural marvel at affordable pricing.